Karen Black in her studio, 2017. Photo: Aaron Tait. Courtesy and © the artist. Karen Black, Crown legs arms, 2016, glazed earthenware with 23K gold leaf, 68.5h x 31cmw x 30d cm. Photo: Christian Capurro. Courtesy and © the artist. 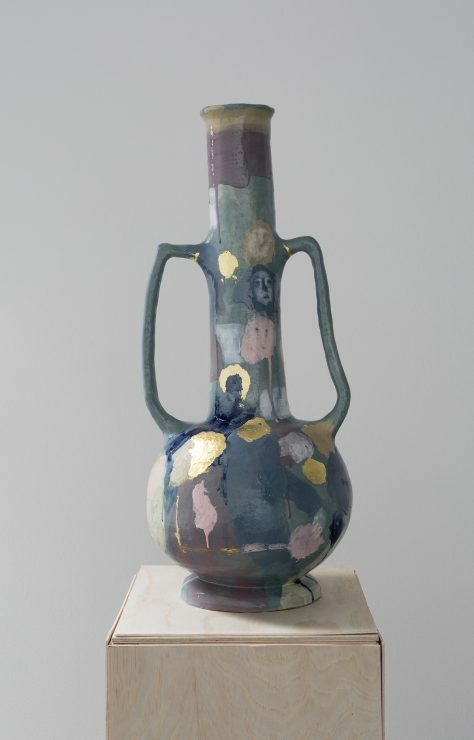 Karen Black, Rooftop at Night, 2016, glazed earthenware, 73h x 28w x 28d cm. Photo: Christian Capurro. Courtesy and © the artist. 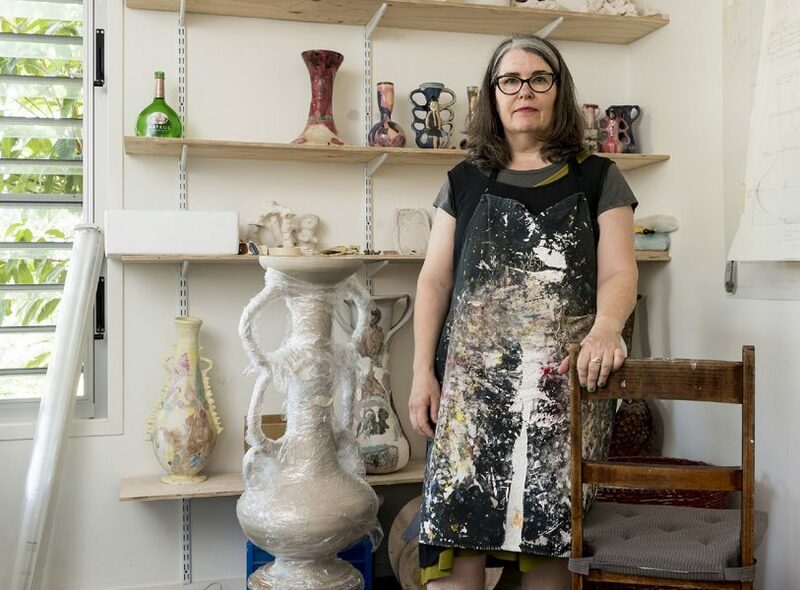 For Karen Black, expanding her painting practice to encompass ceramics was a combination of muscle memory and steep learning curve. “I’d never worked with clay before, but I’d always worked with my hands, making things. It felt really natural to me,” explains Black, who worked making props and costumes for theatre and opera for many years before turning her hand to oil paint and canvas in the late 2000s. Ideas and intuition were there; her challenge was to negotiate the complexities of the ceramic medium and process. 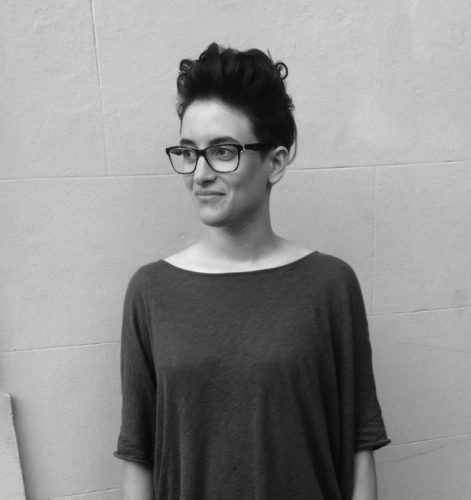 Recently announced as one of five finalists in the prestigious Sidney Myer Fund Australian Ceramic Award (SMFACA), Black has been working in the medium only three years. She was one of a diverse selection of non-ceramic artists invited by Lynda Draper to under- take a ceramics residency at Gymea TAFE between 2012 and 2014. 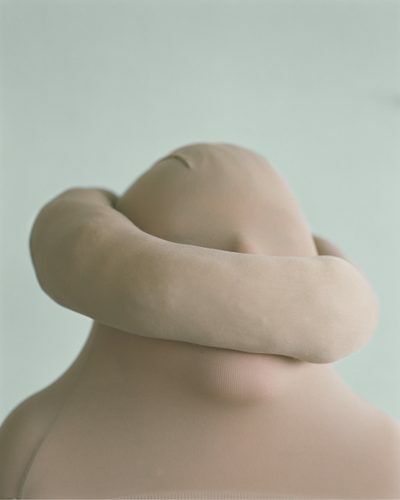 It was an innovative and influential program that encouraged artists working in other mediums to bring their pre-existing conceptual propositions to an experimental engagement with ceramics. Many of the artists mentored by Draper have gone on to develop significant ceramics practices, including fellow SMFACA finalist Glenn Barkley. 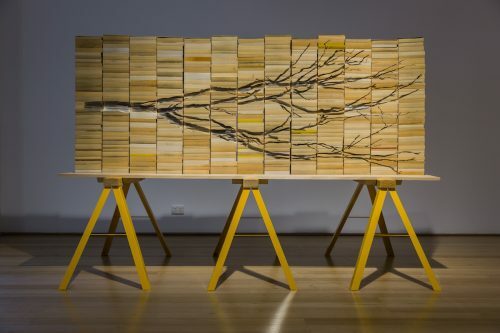 As the last participant in the program, Black’s residency finished just before the opening of a major group exhibition at Hazelhurst Regional Gallery to showcase work by residency alumni. Black describes how, two days out from the opening, her work emerged from the busy student kilns “completely broken and all leaning over and cracked… I really learned the hard way that ceramics never turn out the way you want them to, and you have to be prepared to face that when it happens”. She exhibited the collapsed remains on a plinth in front of one of her paintings of Aleppo: a pertinent portrait of fragility and decay. With a self-imposed mantra to avoid decoration, Black treated each ceramic vessel as “a flat canvas that just happens to be wrapped around this shape”. Much in the same way that she mixes all her paint colours from primaries, Black mixes her own porcelain slips from stains, making up all the colours before starting to apply them – a process which happens quickly before the flowing pigments harden. 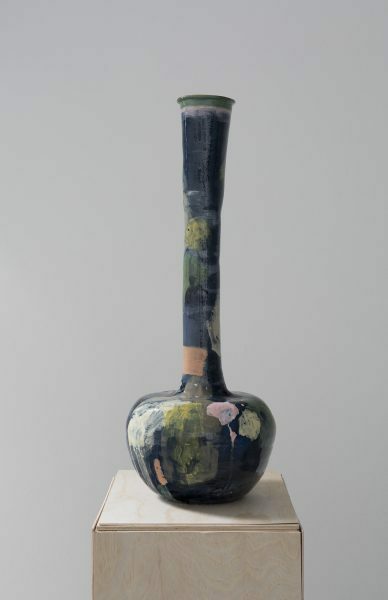 In the past, Black has invited groups of women to her studio to work with clay, but also – perhaps even primarily – to chat. Stories circulate as each woman moulds the block of clay before her. Black is now painting these stories onto her vessels, which act both as surfaces for paintings and containers for secrets. Of course, “what’s spoken in the studio stays in the studio,” she says. Black is currently working from her new one-year studio at Artspace, Sydney, making vessels for the SMFACA exhibition. They are based on the same tiny, ornate blown glass bottles from the third and fourth centuries BC that informed her 2016 show. Complete with ceramic stoppers and stands, Black’s new vessels will be organised such that “the whole room might look like a painted canvas from a distance”. In any case, she explains, “that’s the thought at the minute. There’s still a bit of time to go.” Time to experiment and fail, discovering in the cracks a hint of where to turn next. Things are likely to turn out not quite to plan, and will end up being all the better for it.